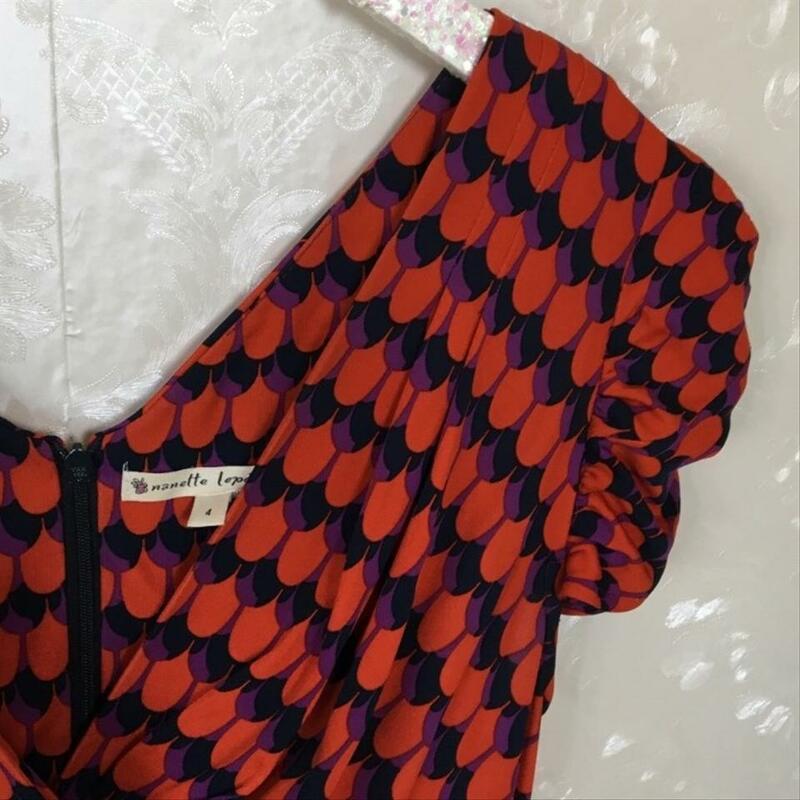 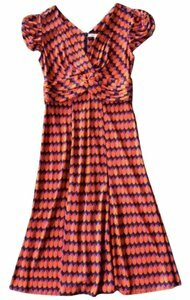 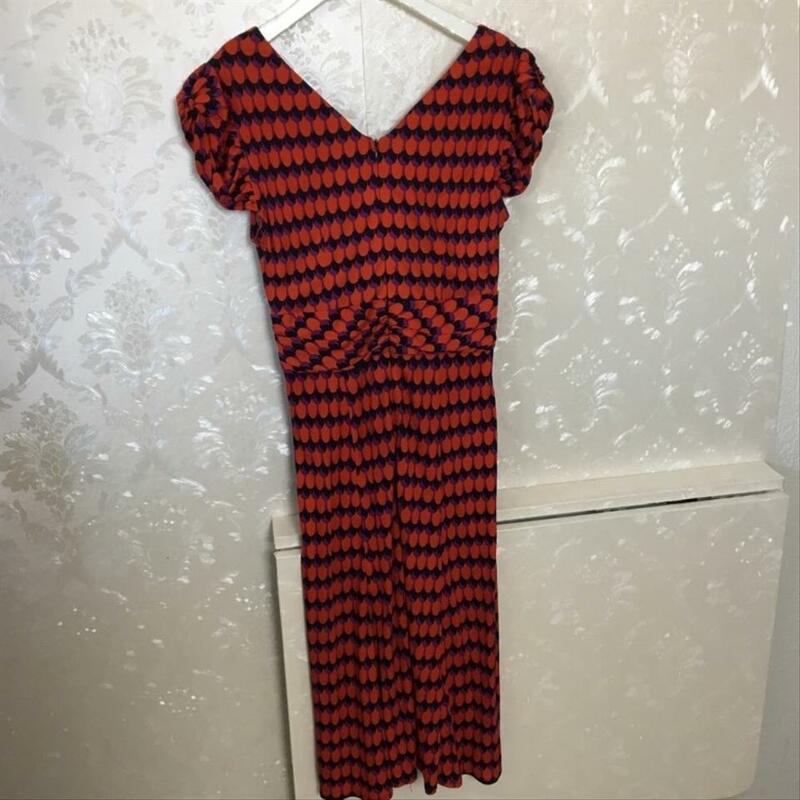 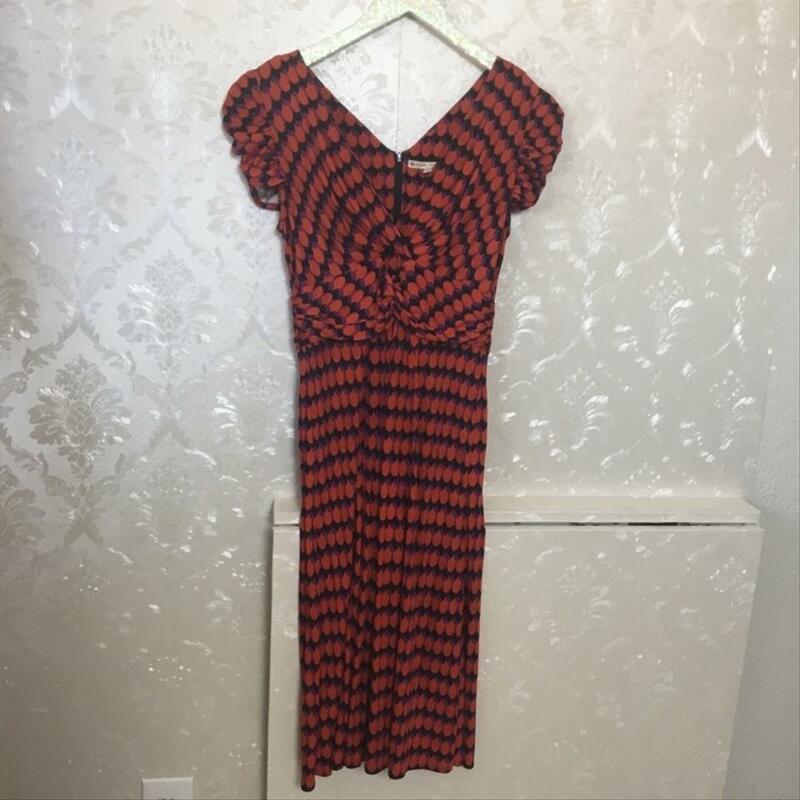 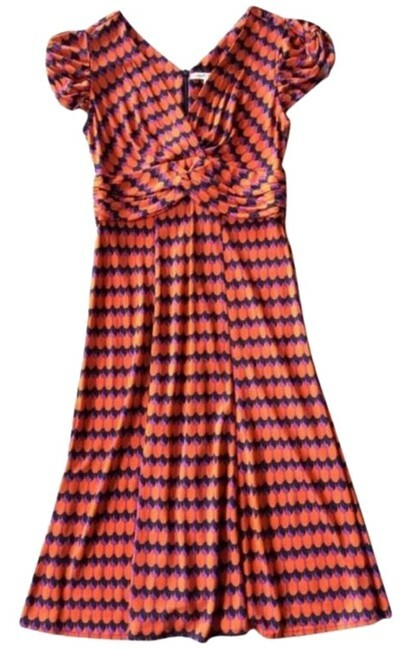 Nanette Lepore Orange Purple Geometric Print Dress. 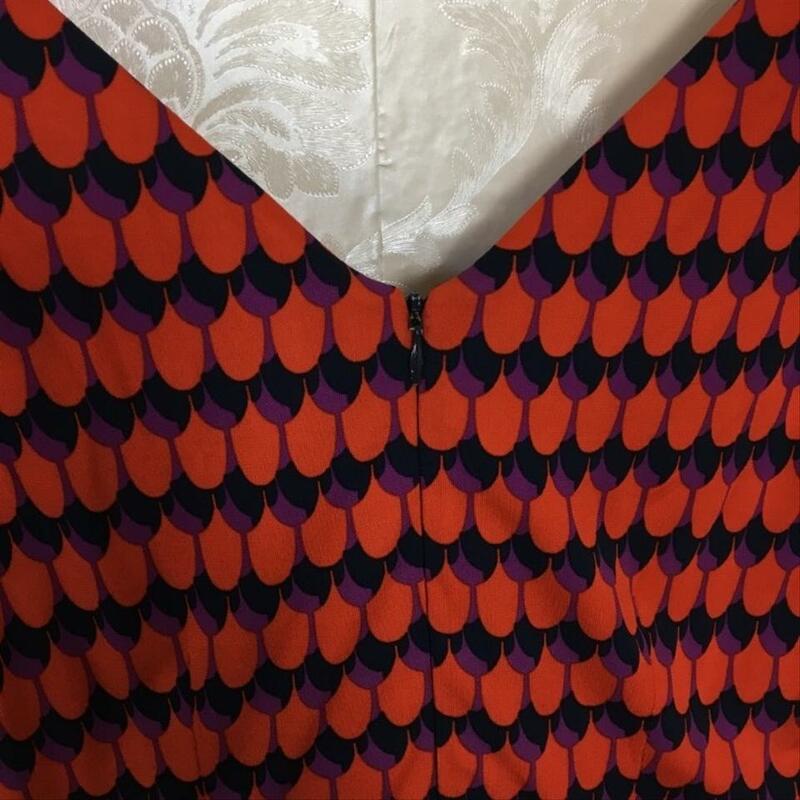 Cross drape front at bust, v-neck. rushing at sleeves and waist. Cap sleeves, zip closure at back. 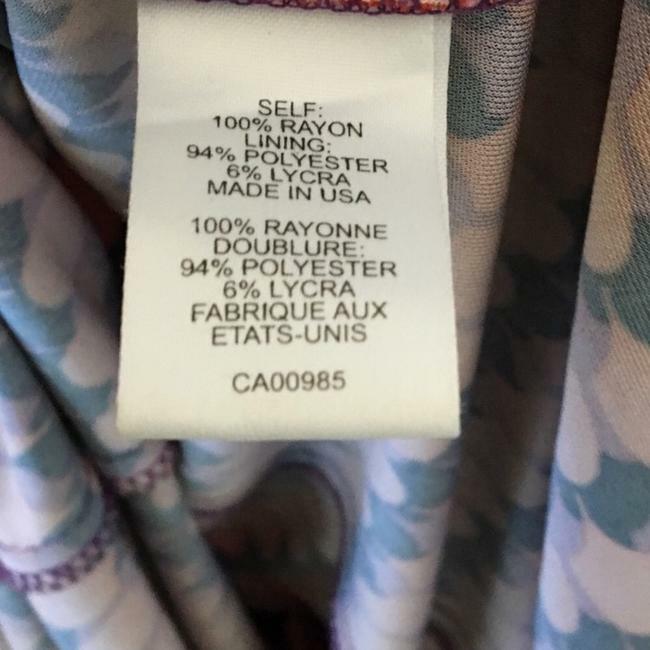 100% Rayon, dry clean only. 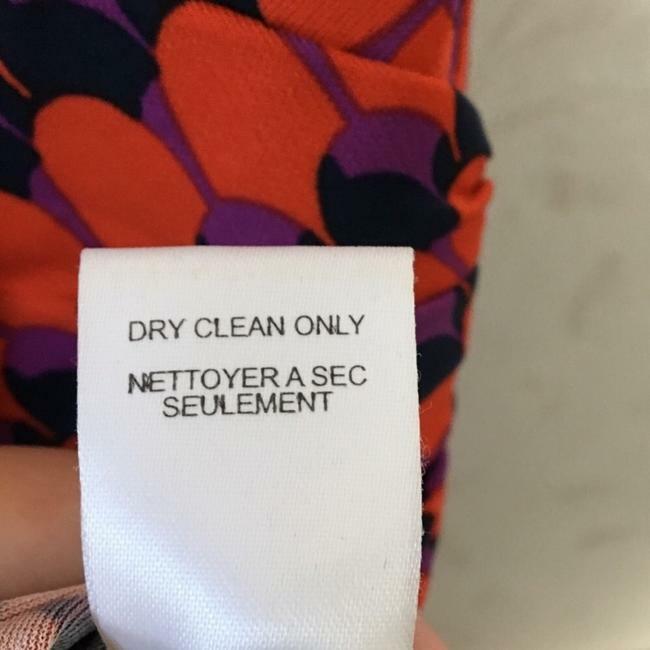 Falls below the knee.